The Libraries wants to make sure you, our awesome student-parent, get info that might make your academic life easier this semester. 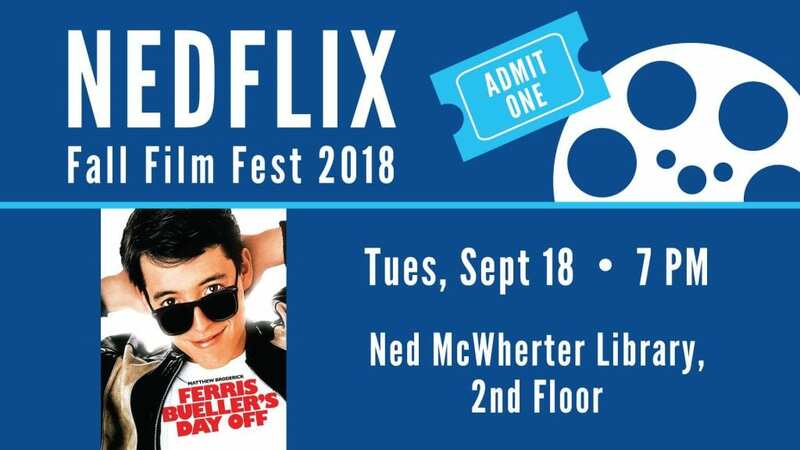 A new space in McWherter Library just for you: Kids welcome! 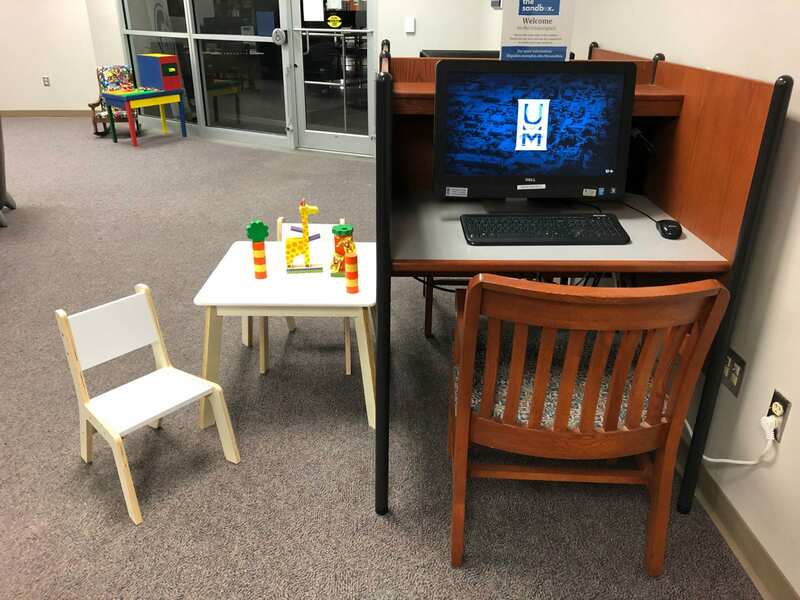 Thanks to the findings of our Fall student-parent focus groups, McWherter Library bought new kid-sized furniture and toys to keep kids entertained while student-parents study, print, or research at the library. The space will be located in the 1st floor creatorspace, the sandbox., an enclosed room next to the Check-Out Desk. The creatorspace is open the same hours of the library. Please don’t leave your children by themselves in the space! Don’t forget to check out our collection of kid’s books on the 3rd floor, too! Baby steps towards making McWherter Library kid-friendly! If you don’t see that option, download the PDF and use a free software converter, like Zamzar, to convert the PDF to a downloadable .mp3 file. Research is hard! You don’t have to research alone. Get one-on-one research help with a UofM librarian (we’re real!) in-person or online from 8 am to 8 pm most weekdays, and 10 am to 2 pm on Saturdays. Get research help today. Check out our research guides, a place to help you get started with your research at any time. Writing is also hard. McWherter Library houses the Center for Writing and Communication (CWC). Writing tutors will help in-person or online with everything from brainstorming, to final drafts, to a job application cover letter. The library doesn’t have it? Use interlibrary loan (ILL). Interlibrary loan (ILL) is a free service for you to use. If the library doesn’t have a journal article, book, DVD, or other materials (we can’t loan eBooks yet), you can still access it. Journal articles are delivered as a link to your @memphis email in days. Books and other physical materials are delivered to your closest UofM library if you’re an on-campus student. If you’re an eCampus student, you can have materials mailed to your home. Health Sciences Library, Music Library, and McWherter Library all have great programs, from library database workshops to Adobe Illustrator training sessions! Check out our list of events! The Libraries have been working to hire a Lambuth campus librarian for a while; thank you for your patience while we find someone to assist you in Jackson, TN! 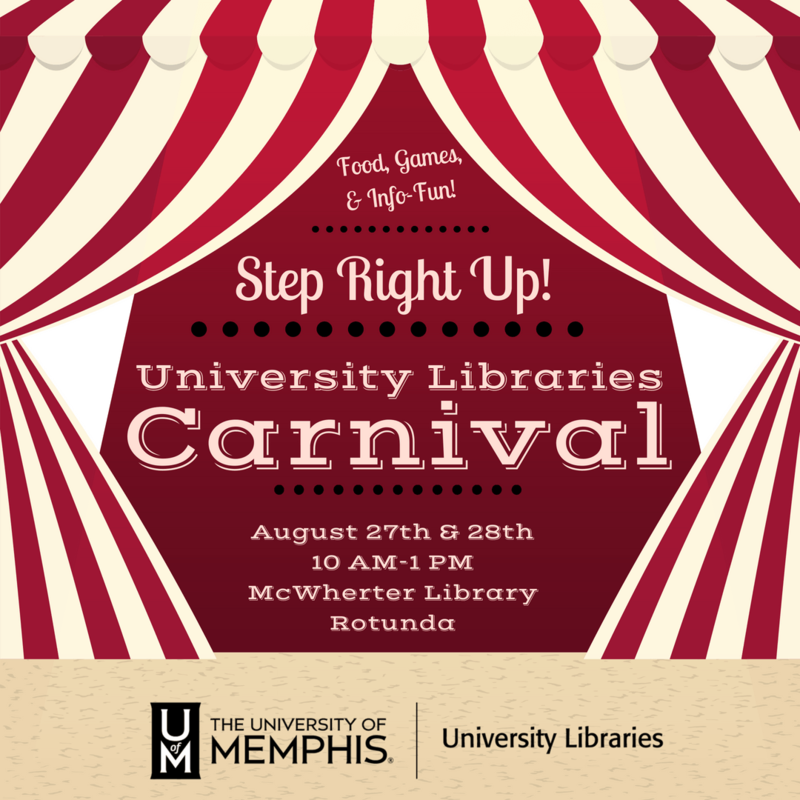 UofM librarians in Memphis will help you with your research help online. 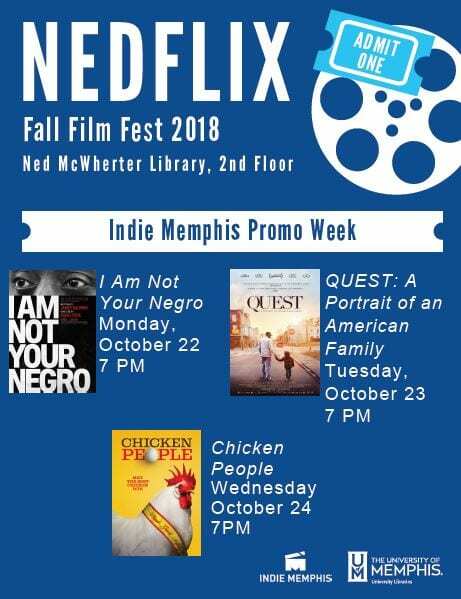 If you have more suggestions for how to make the University Libraries a more family-friendly space, please email Rachel Scott and Brannen Varner, librarians at the University of Memphis. 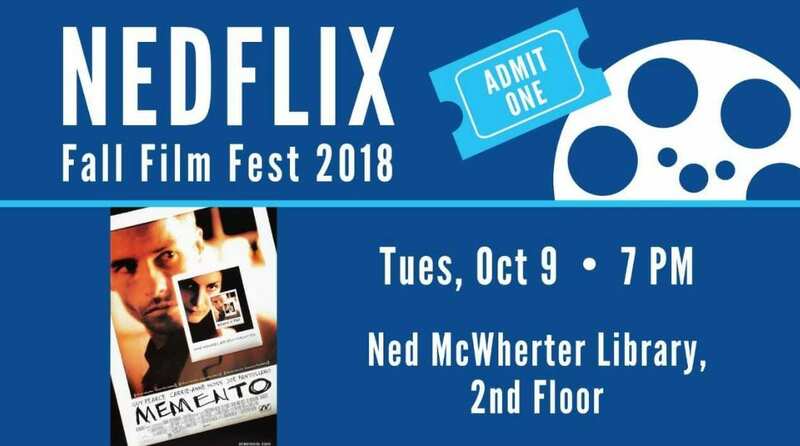 Indie Memphis Promo Week- 3 Nights, 3 Great Films! Our nation’s librarians transform their communities, schools and campuses, improving the lives of the people they serve every day. If a librarian has made an impact on you or your community, now is your chance to honor their contributions. The I Love My Librarian Award encourages library users to recognize librarians in public, school, college, community college and university libraries for the difference they’ve made in their communities. Nominations will be open until Oct. 1, 2018. Up to 10 librarians will be selected to win $5,000 and be honored at a ceremony and reception in New York, hosted by Carnegie Corporation of New York. Additionally, each award-winner’s library will receive a commemorative plaque. Winners will be announced on Dec. 4, 2018. To be eligible, each nominee must hold a master’s degree in library and information studies from a program accredited by the American Library Association or a master’s degree with a specialty in school library media from an educational unit accredited by the National Council for the Accreditation of Teacher Education. 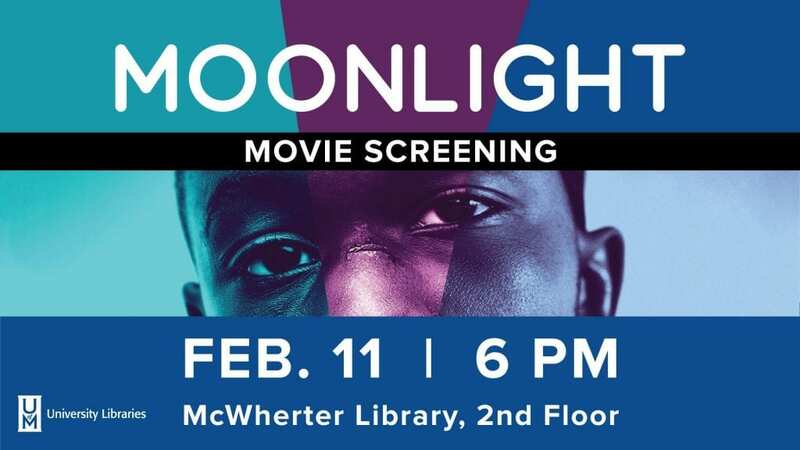 Nominees must also currently work in a public library, a library at an accredited two- or four-year college or university or at an accredited K-12 school in the United States. For more information and to nominate a librarian, visit www.ilovelibraries.org/ilovemylibrarian. The award is supported by Carnegie Corporation of New York, the New York Public Library, and The New York Times. It is administered by the American Library Association (ALA), the oldest and largest library association in the world. 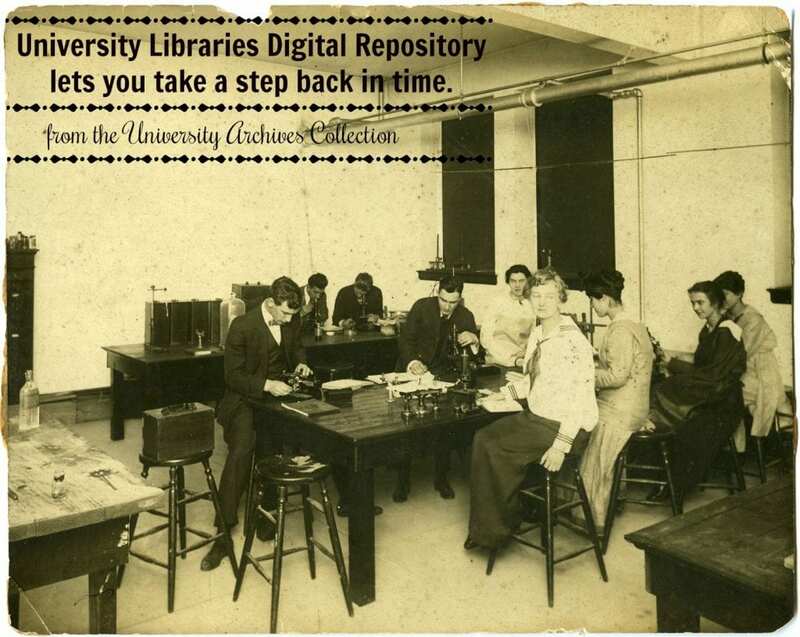 Did you know that the University of Memphis Libraries have a digital repository? To enhance access to our rich and varied collections, we have digitized a wide range of materials including collection finding aids or guides, primary source documents, still images, and sound and motion recordings, mostly from our Preservation and Special Collections Department. Topics covered include, but are not limited to, Memphis and regional history and culture in general, family and political life, the Civil War and other conflicts, Civil Rights, and the African American community and culture. This is a growing collection and what is displayed here represents only a small fraction of our holdings. Below are examples of some of the things you will find inside the repository. This is a photograph of West Tennessee State Normal School(original name for U of M) students using microscopes in the Chemistry Department around 1916 from the University Archives Collection. 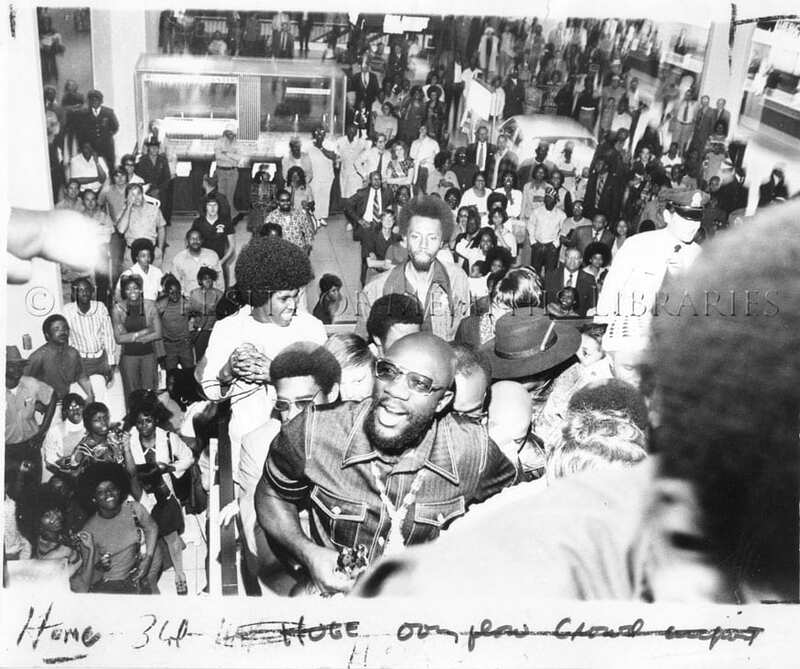 Along with the University Archives, we also have the Musical heritage Collection which features photographs like this one of Isaac Hayes at the Memphis Airport, April 1972. Please contact the Special Collections Department at 901.678.2210 or stop by the 4th Floor of McWherter Library for further information the collections held within the digital repository. 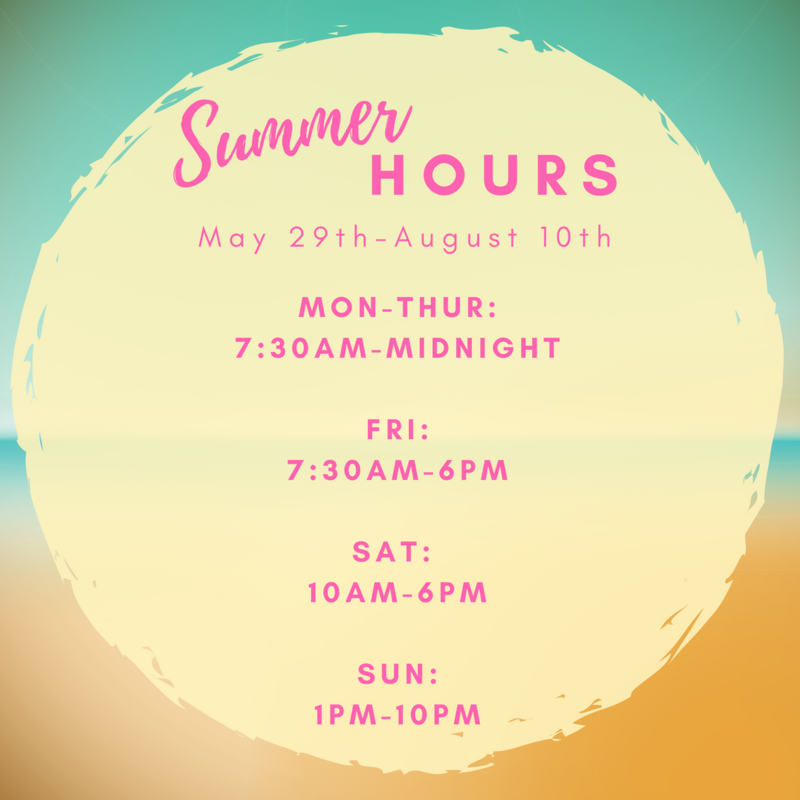 We are now open late for summer hours! Grab some study space, make an appointment with a librarian, check-out a GoPro camera, or even learn how to 3D print over the summer session.